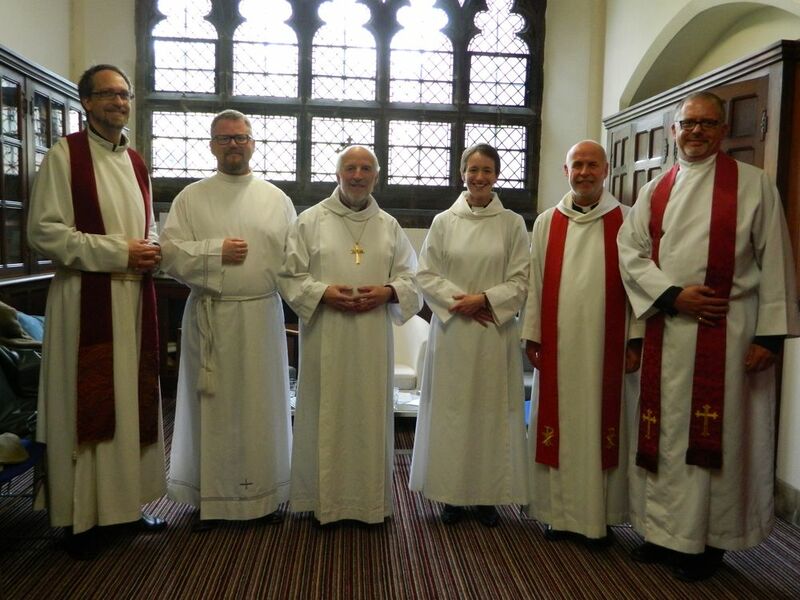 Yesterday’s Petertide Ordinations in our Cathedral – Gerry Dillon and Diana Hall with the Rectors with whom they will serve, Revd Thomas Brauer of Central Fife Group and Revd Professor Trevor Hart of St Andrews, St Andrews, and our Dean, Very Revd Kenny Rathband. It was a remarkable evening – one of those moments when we seem to be able to show that we are both serious and passionate about what we do and somewhat bigger than we really are. Diana and Gerry are remarkable people who will make a wonderful contribution to ministry. That brought to an end a remarkable – and remarkably positive week. Starting in Shetland, it moved through the launch of the Church Graft in the ABI Group. Then there was the appointment of a new Rector in St John’s Perth [to be announced on July 13]. And in between, there was the joy of Sarah and Willie’s wedding, a meeting and dinner for the College of Bishops, a meeting of the Provincial Standing Committee and Glenalmond Commemoration – and Sunday morning in St John’s, Perth. Hope you’re planning a rest in Donegal soon!